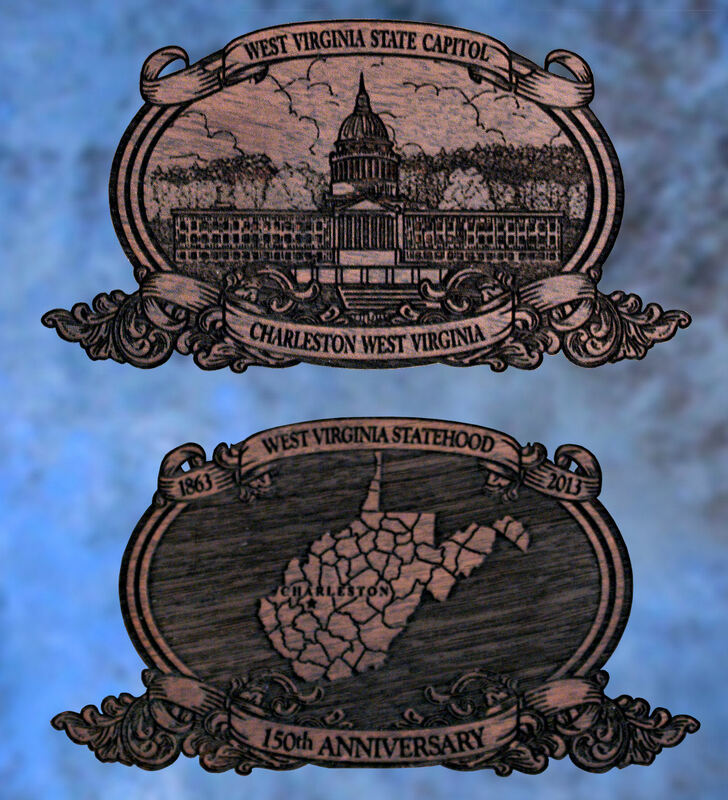 West Virginia Statehood 150th Anniversary - Wellington LTD. The West Virginia Statehood 150th Anniversary Special Edition is a new style Collector’s Grade Henry .30-30 rifle with blued barrel. The engraved artwork is set on the natural brass of the receiver and defined with jewelry-grade nickel, making it a new and unique design for this work of art. Images on both sides of the receiver, forearm guards, and stock pay tribute to, among others, the Battle of Philipi – the first land battle of the Civil War, West Virginia’s First State Capitol, and West Virginia’s Independence Hall. All taken from West Virginia’s colorful past! This family heirloom is a tribute to the history and people of the State of West Virginia. The West Virginia Statehood 150th Anniversary Special Edition Henry .30-30 is for those collectors who cherish both our history and beautiful art. Only 150 will ever be produced. Each is individually numbered and comes with a Certificate of Authenticity. Reservations are accepted in the order in which they are received. For more information, please e-mail us or call (970) 215-0677. Ask about our hard-sided canvas presentation cases! Born a slave in Crawford County, Arkansas in 1838 and overcoming tremendous challenges, no one could have foreseen that the man known as Bass Reeves would grow up to become one of the greatest lawmen in the Old West! Admired, feared, and respected by friends and foe alike, he achieved legendary status just as much for his character and strength of will as for his deadly aim, his imposing presence, physical ability, tracking skills, and the sheer number of criminals he captured.In honor of this heroic legacy, and in cooperation with noted author and historian Art Burton, the U.S. Marshal Museum, and the Bass Reeves Legacy Initiative, Wellington LTD is proud to honor this true American western hero by introducing the Deputy U.S. Marshal Bass Reeves Special Edition! Since 1915 the West Virginia Oil & Natural Gas Association has been on the forefront of serving, advocating for, and providing information about the energy industry in West Virginia. In honor of this, Wellington LTD, in cooperation with the West Virginia Oil & Natural Gas Association, is proud to introduce the West Virginia Oil & Natural Gas Association 100th Anniversary Special Edition. Built on a Collector’s Grade Henry .30-30 this edition features images taken from the Association’s 100 years in West Virginia!Each West Virginia Oil & Natural Gas Association 100th Anniversary Special Edition is numbered and comes with a certificate of authenticity. Only 100 will ever be produced and once they are all sold out the series will be closed! Reservations are accepted in the order in which they are received! The Buffalo Soldiers 150th Anniversary Special Edition is a new style Collector’s Grade Henry Big Boy .44 mag rifle with blued barrel. The engraved artwork is set on the natural brass of the receiver and defined with jewelry-grade nickel, making it a new and unique design for this work of art. Images on both sides of the receiver, forearm guards, and stock pay tribute to the Buffalo Soldiers efforts in opening up the Old West and their role in the Spanish American War, all taken from the Buffalo Soldiers’ colorful past!